A wonderful rare late Victorian butchers pediment. 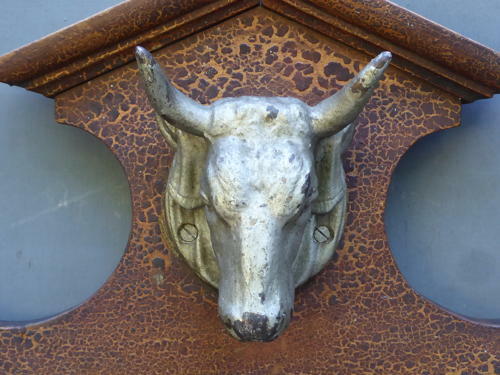 A stunning & seldom found piece in beautifully carved mahogany, finished with a heavy cast iron bulls head. The pediment would have topped a butchers block, cupboard or doorway & both the wood & bulls head boast an exceptional age relatd patina. A superb decorative piece.